My October baby is turning 4 years old in a few days. 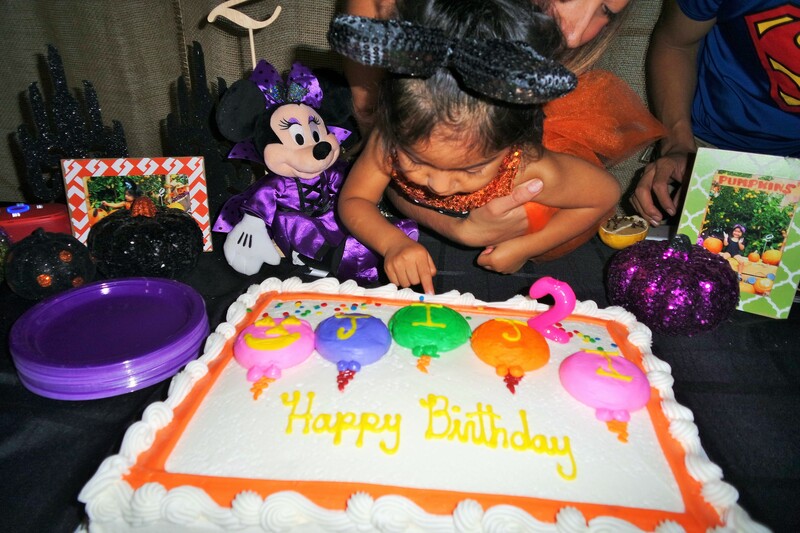 Her birthday is really close to Halloween so naturally she’s had a Halloween themed birthday party. 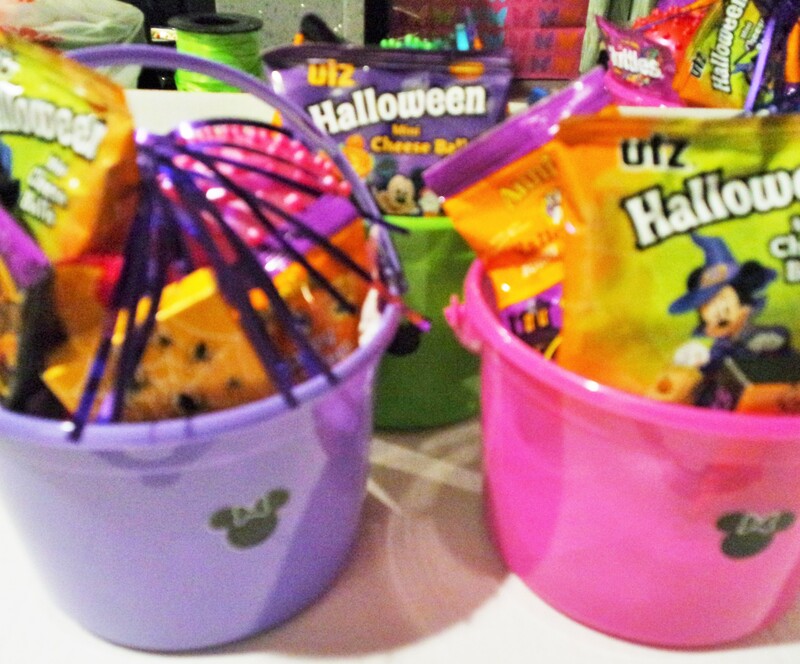 Halloween parties usually incorporate a lot black and orange but I wanted to add some fun colors to it and include Minnie and Mickey Mouse as well. 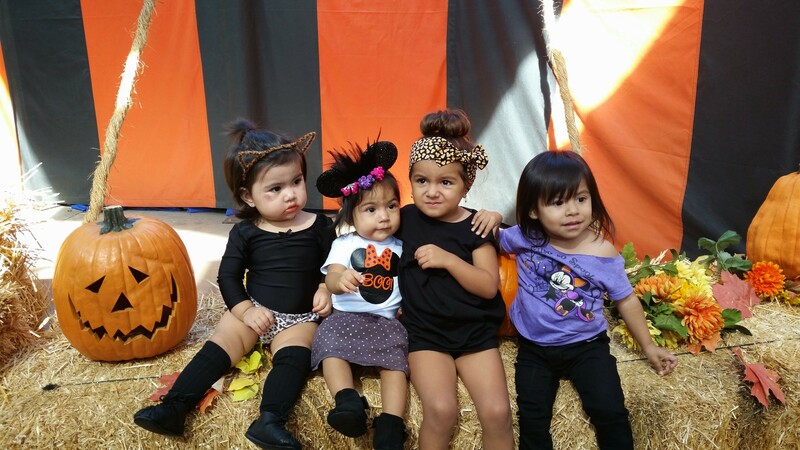 It was our own version of Mickey’s Not So Scary Halloween Party, at home. This was two years ago but I hope that you can take some ideas for your own Halloween party! 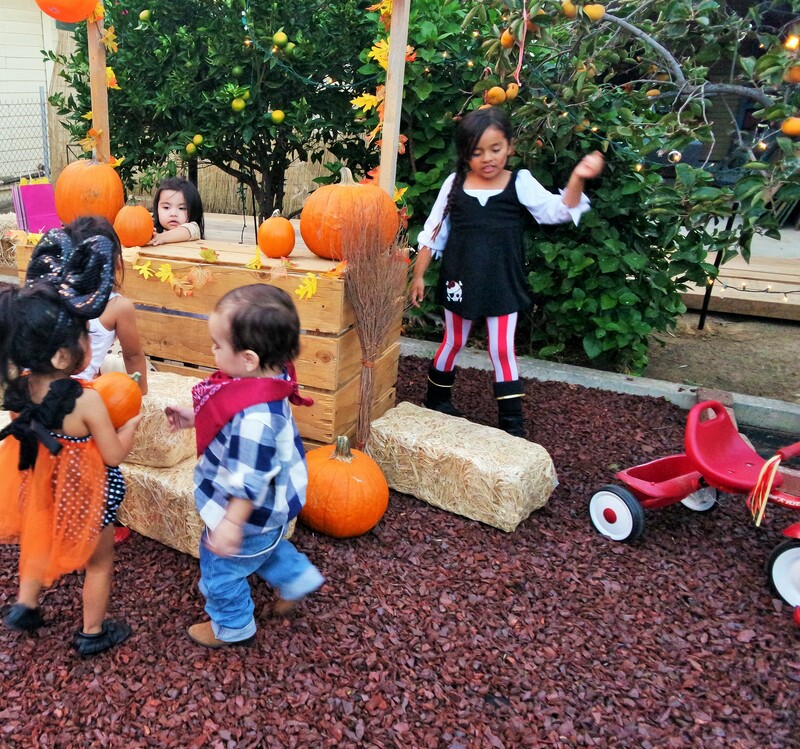 The first step in creating this Mickey’s Not So Scary Halloween inspired party was to turn our backyard into a pumpkin patch. Although we live right in the middle of Los Angeles, our big back yard has a little country feeling to it. I can’t recreate all of Disneyland’s Halloween theme so I focused on Big Thunder Ranch as the inspiration. To be totally honest, and as you will see throughout this post, I did not spend a lot of time or money on decorations. I mostly focused on creating an experience for our guests. 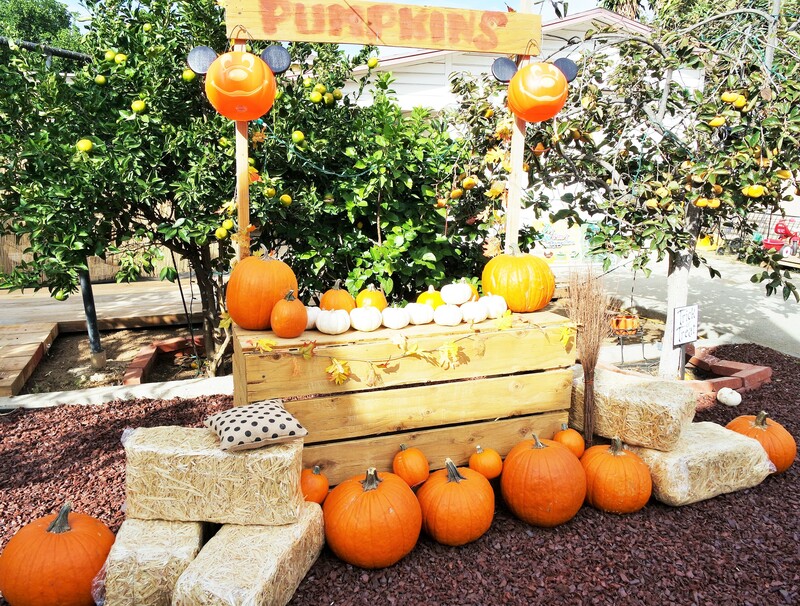 In the weeks leading up to the party, my husband built a pumpkin patch stand and a toddler size picnic table for the kids. 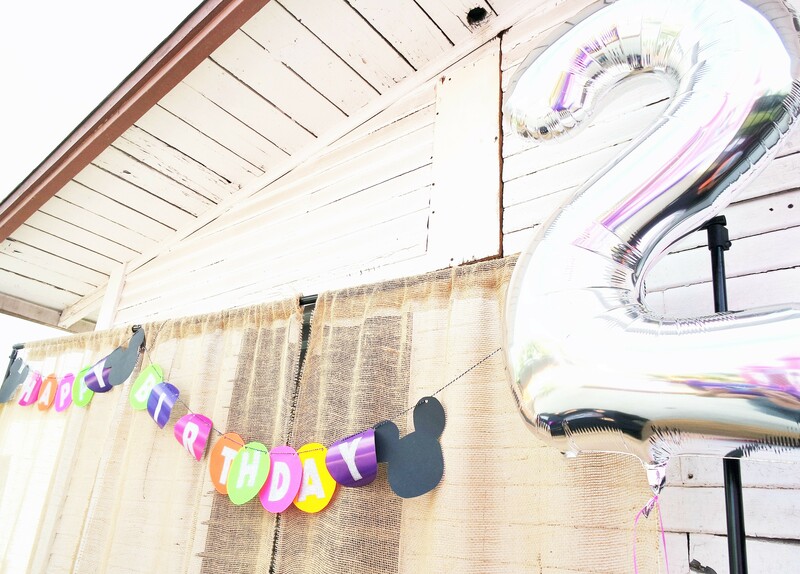 If you are hosting a party and have a limited budget, I suggest focusing on one to two wow factors. The rest of the little details will fall into place. 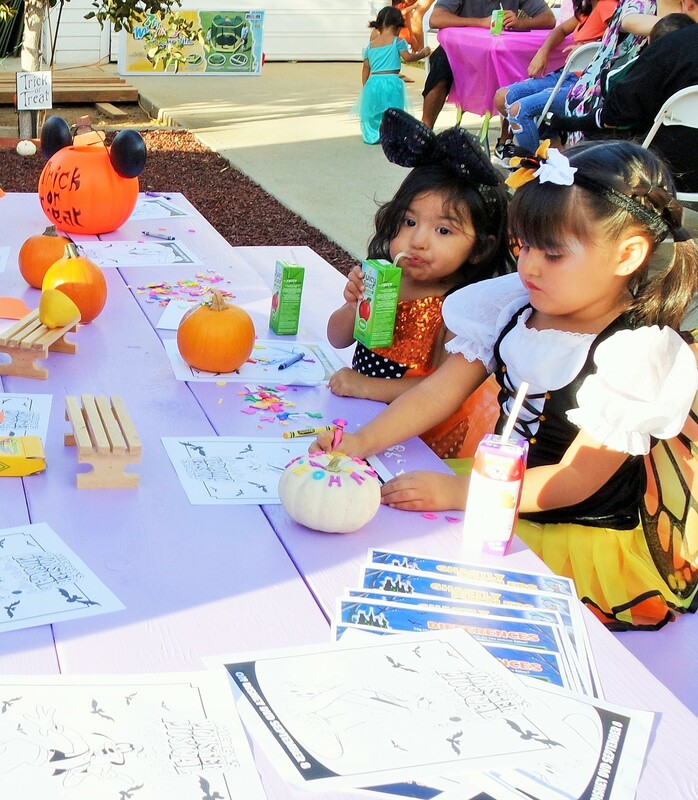 We provided mini pumpkins for the kids to decorate, Disney Halloween themed coloring pages and rented a Minnie Mouse bouncy house. 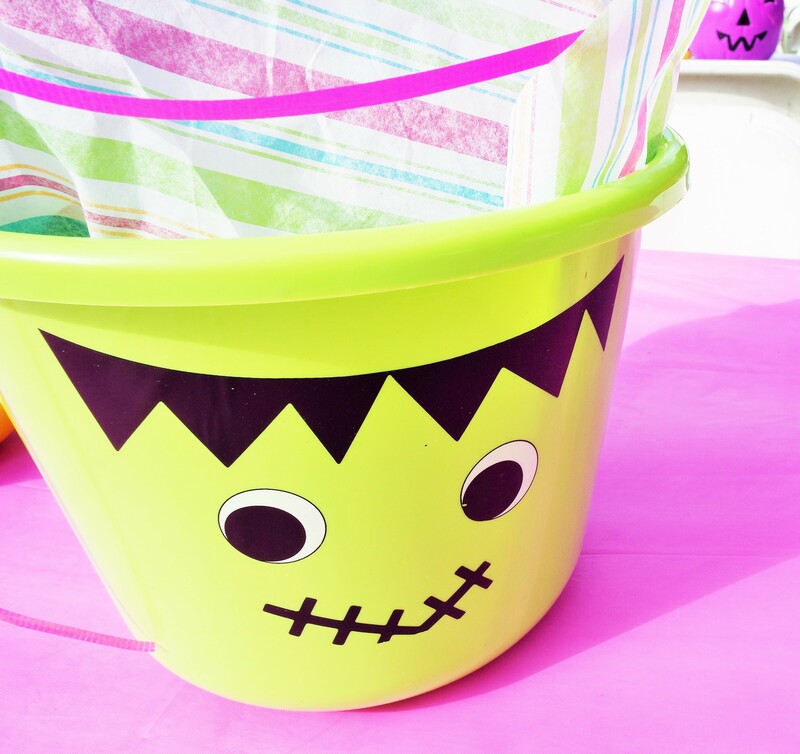 These Halloween candy buckets served as centerpieces and we also used them as a place and easy access to forks, spoons and napkins. 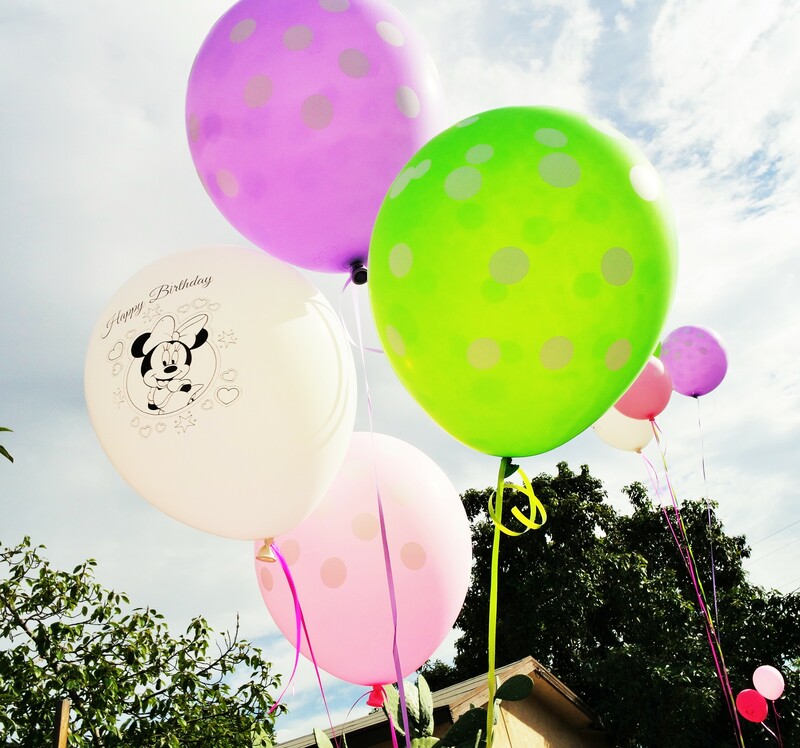 I tied colorful Minnie Mouse themed balloons to the candy pails to add more color to this DIY Not So Scary Halloween Party. I also made a colorful birthday banner out of construction paper. 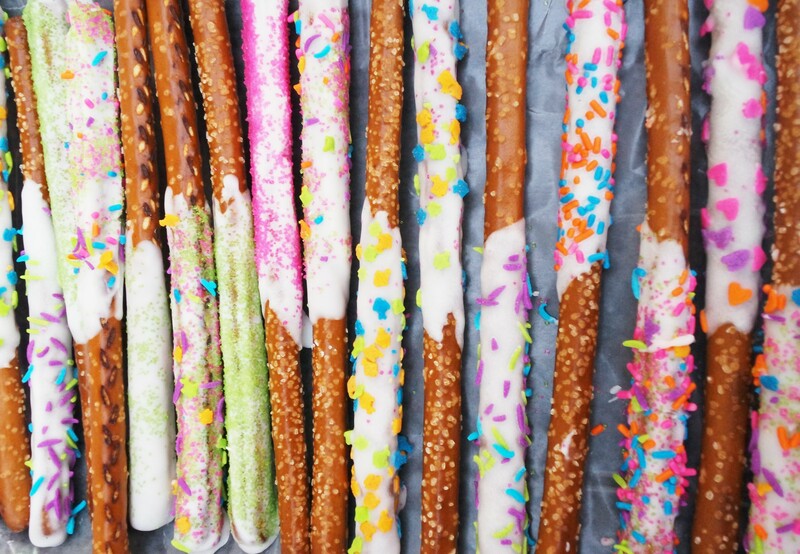 The shiny silver letters were cut out of a dollar tree birthday banner and then glued on to the vibrant colors used throughout the party. Keeping with the Big Ranch inspiration, we served fried chicken, corn bread, corn on the cobb and chili dogs (those were added to the menu on a last minute run to the store but were the biggest hit!). 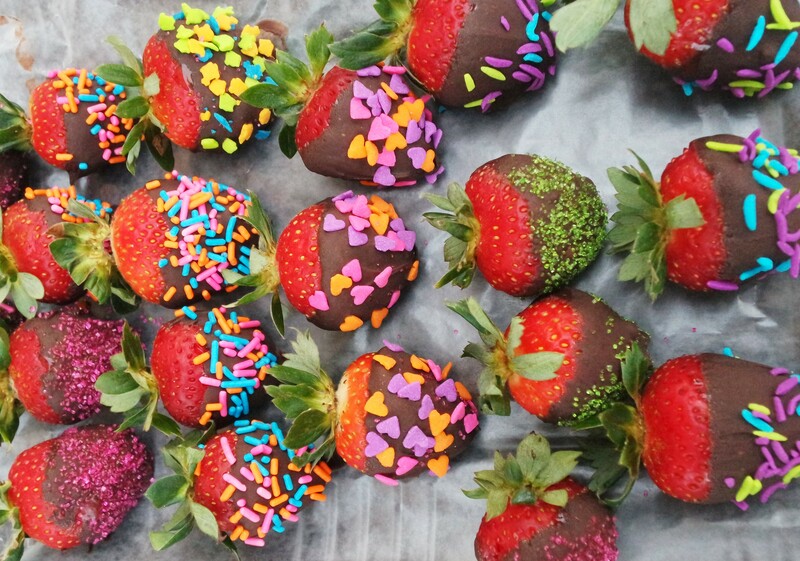 Sadly, I didn’t capture any pictures of the food but I was able to get some pictures of the chocolate dipped pretzel sticks and strawberries I made. Not bad for my first try! 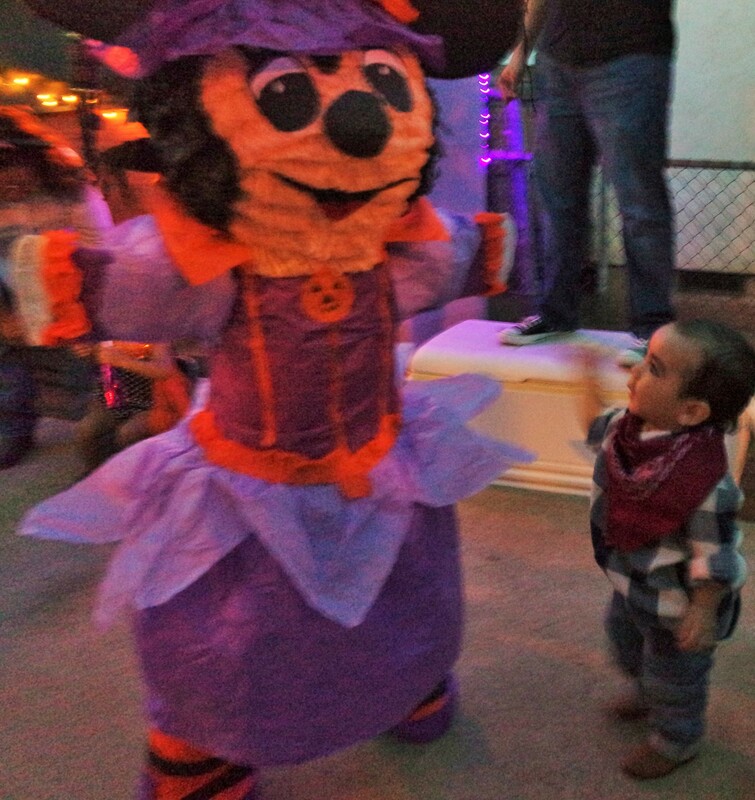 A party is not a party without a piñata. I ordered a Minnie Mouse piñata with a dress to match Ji’s outfit. 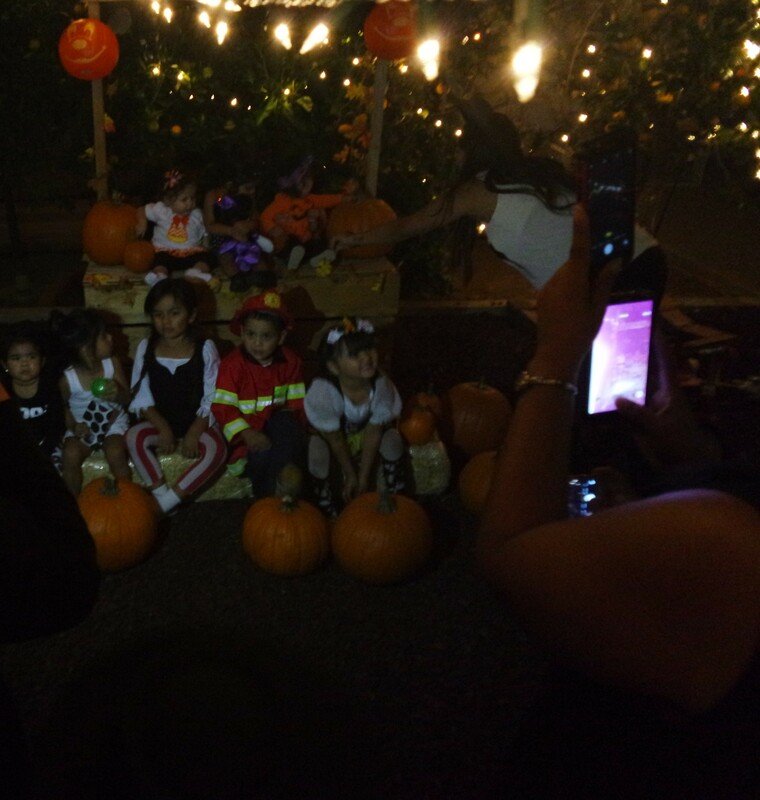 Once the kids got their turn hitting the piñata, they went on over to the pumpkin patch and trick or treated. Not sure if that’s even a real phrase. haha! 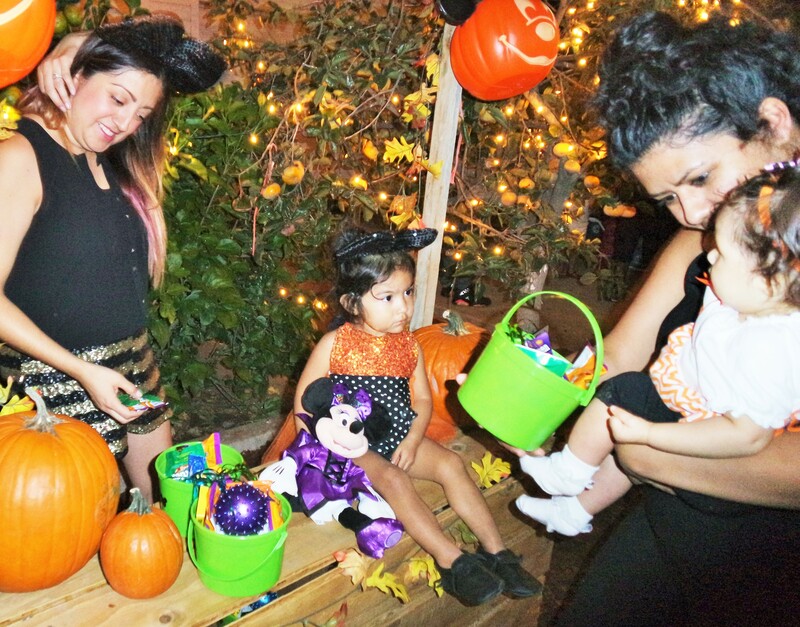 😉 They received mini candy pails filled with Mickey and Minnie Halloween treats. One of my favorite parts of the party was when it got dark and the lights went on. The backyard looked beautiful and it set the mood for a Fall party. We ended the night with cake and a Spanish and English Birthday song + one last goody for the kids to take home. 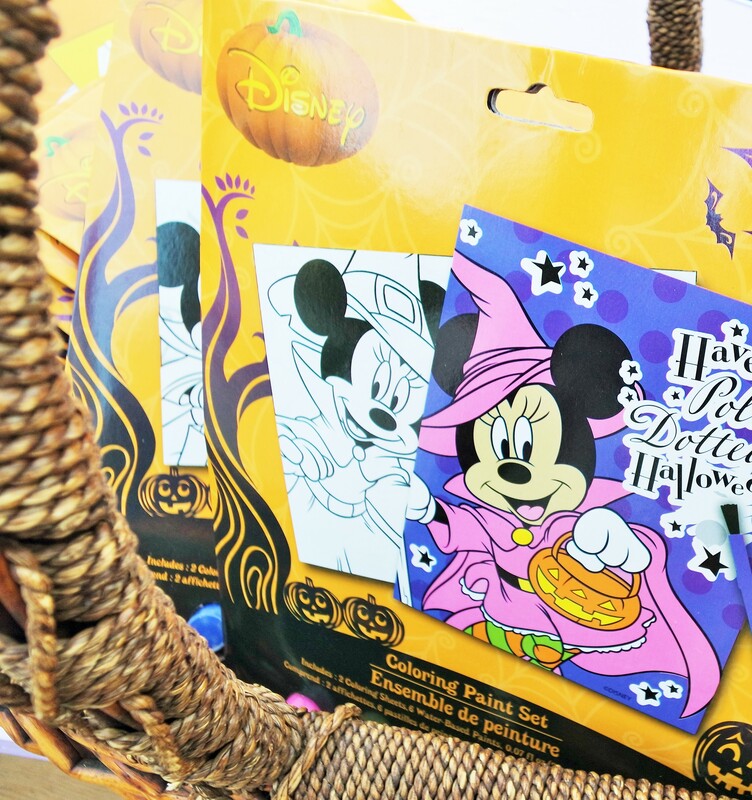 I found these Halloween themed Mickey and Minnie Mouse paint sets at our local Dollar Tree. Score! 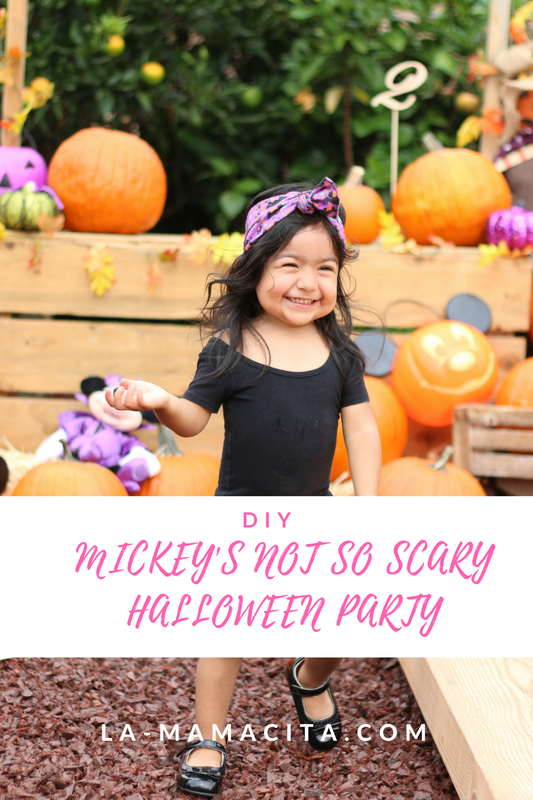 This DIY Mickey’s Not So Scary Halloween Party came together perfectly for us. As you can see, the décor and food was simple but simple can be fun too. 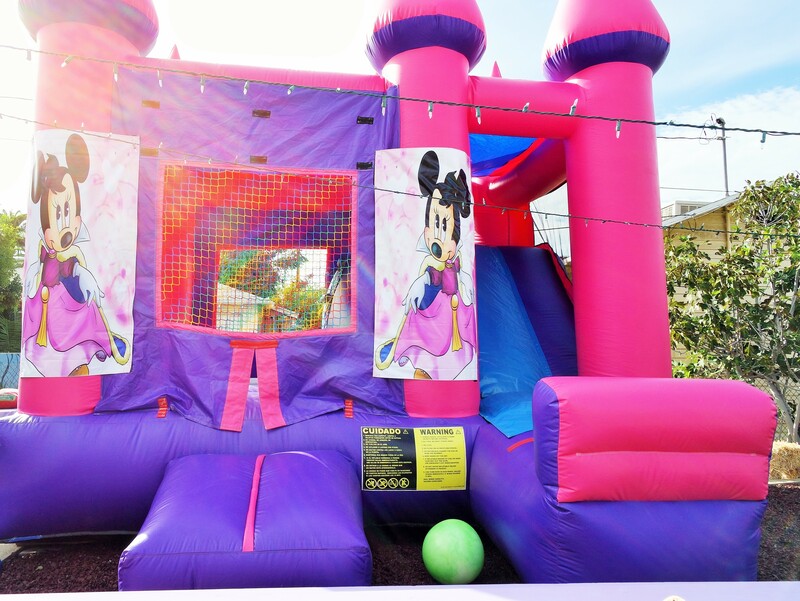 I’m all about creating experiences for the kids, it’s a kids party after-all, so my focus is to make it fun for them! Don’t stress too much and your party will fall into place. 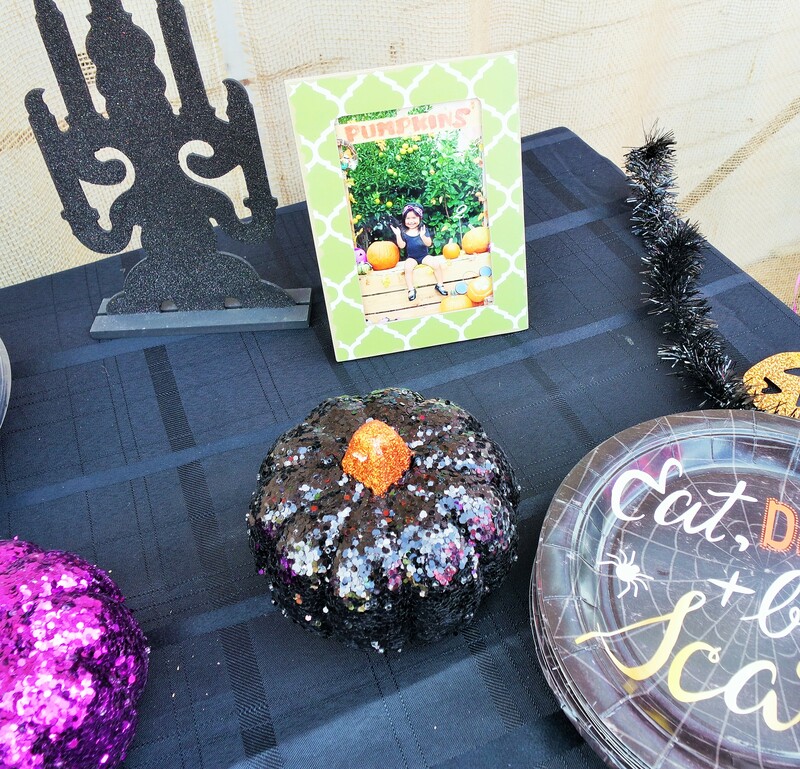 I hope you enjoyed reading this post as much as I had fun hosting this party! 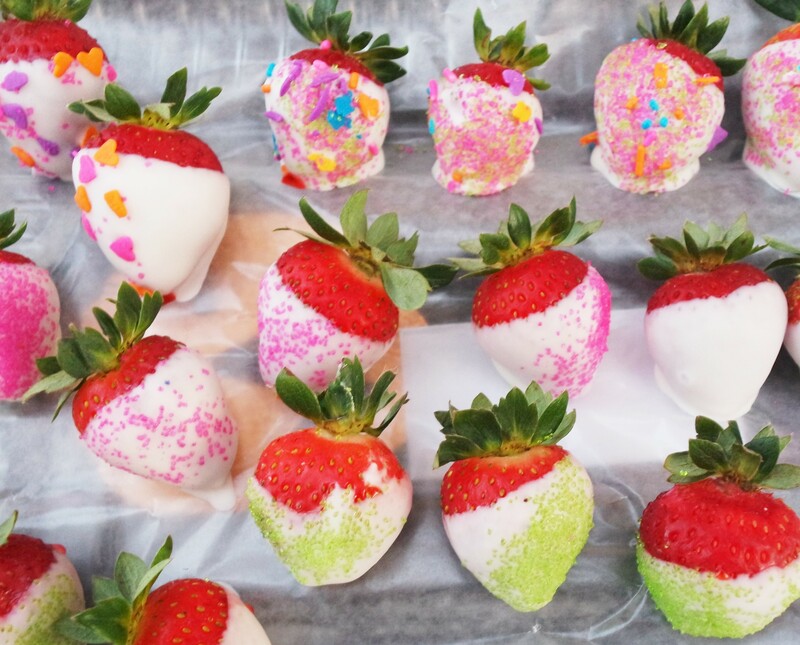 Now time to plan another….